Encouraging youngsters to enjoy cooking has always been big in our household. Our nieces over the years have cooked up some pretty amazing meals with and for us, and it has been so fun to watch them get better and better at it as the years progressed. 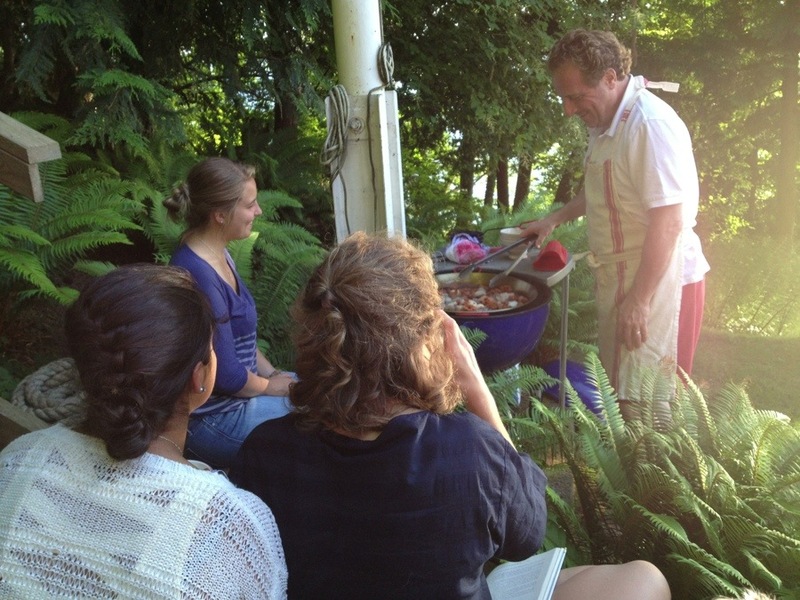 They are now grown and are all impressive cooks, with one of them a well-regarded chef in New York (I know, I am a very proud Uncle), the below photo taken last Summer with paella on the menu. When our 8 year old godson Magnus recently said to TPS that he wanted to cook a meal with him, they started planning the menu on the spot. This Sunday was the day. It was cool to watch him in the kitchen cutting, mixing and cooking away. I think when I was that age I was making peanut butter & jelly sandwiches. The rest of us chatted the afternoon away out on the deck in the sun as they cooked away and then were treated to all the above. What a special meal, what a special day. Let me start this off by stating I do not grill. Never have. But I love when others do. 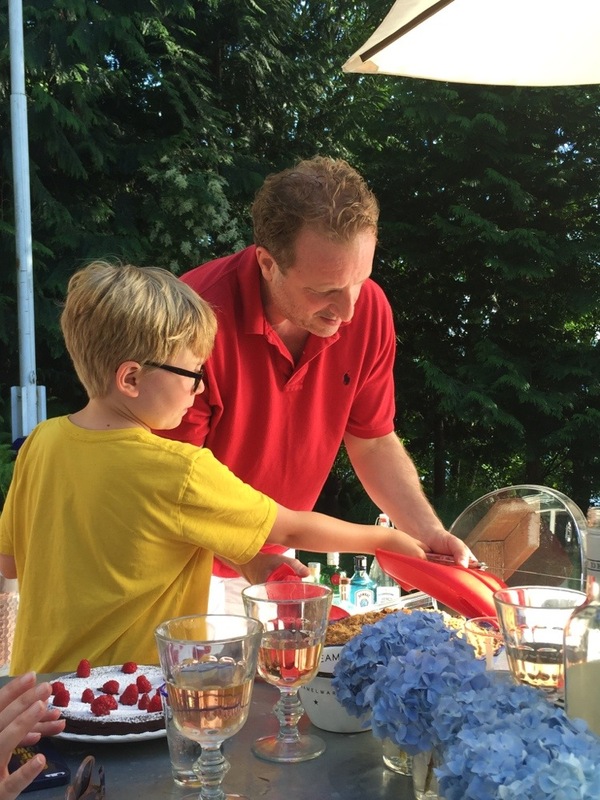 My dad, my brother, dear friends, my husband–all love to grill. I guess that must be it. I have always been surrounded by those that really enjoy barbecuing. I enjoy the smokey, tasty benefits. Fine by me, I am happy to sit this culinary task out and let those that revel in it soar. This one is for you. 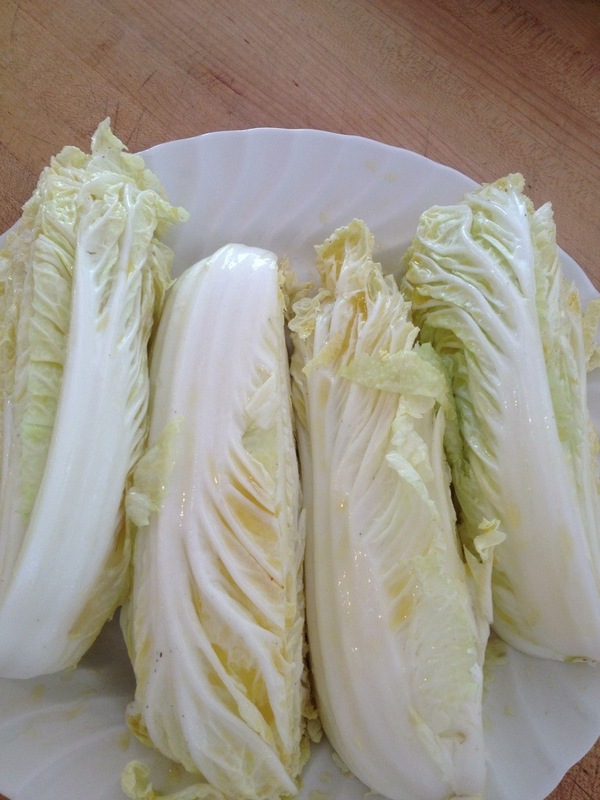 TPS tried grilling Napa cabbage the other evening, and it rocked. He has done lettuces and other greens but never Napa cabbage. It was pretty awesome. A grilled salad course in a few minutes. Yum. Moments before falling asleep last night I asked him how he prepared & grilled it. 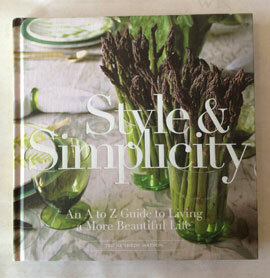 Here is what I hazily remember, but I think I have it all down right. Quarter one good sized Napa cabbage making sure to keep the top core intact. This keeps the piece from falling apart. Create a dressing of extra virgin olive oil, sesame oil and rice wine vinegar. Mix together and then use that to coat the 4 pieces of cabbage, making sure all is well covered. 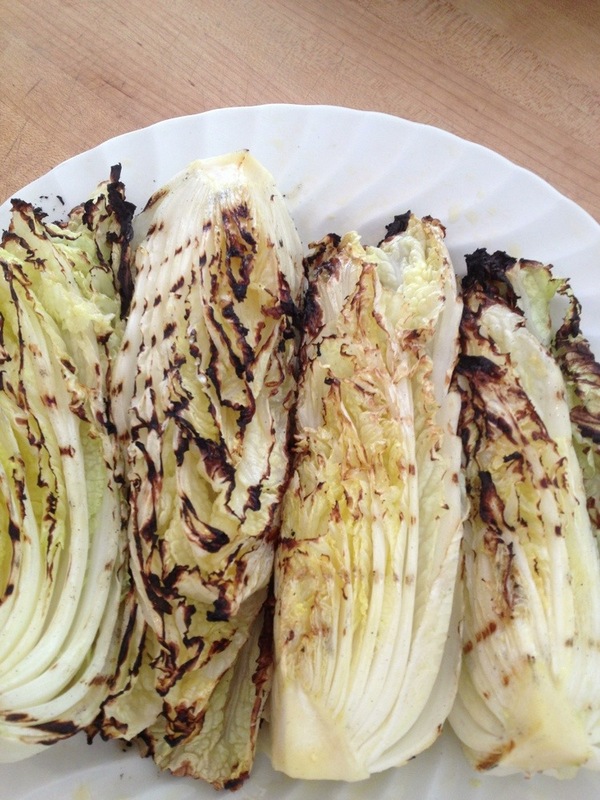 Then grill the cabbage on a super hot grill. He did it first thing when the coals were smoking hot. Stay with these as it only takes around 30 seconds to char. Repeat for the remaining two sides of the cabbage. That simple. So good.